This week Savannah and Alex are joined by special guest Matthew Cassinelli to talk more about electric scoot scoots, skateboards, bikes, and various municipal infrastructure problems (because that's the show now, apparently). This week, Savannah and Alex visit the Moxy studio and hotel to do a live show addressing Bond Villain Elon Musk, scooters as a superior form of transportation, and a surprise robot that's taking Kickstarter by storm! We are in a tiny little booth so you can SORT OF hear the audience and bar, but ignore that and listen to us yell! 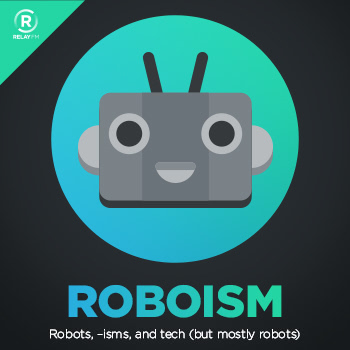 Alex and Savannah host a LIVE episode of Roboism at the Chicago Comics and Entertainment Expo! Alex and Savannah celebrate a belated Earth Day, and hope robots will be better than humans at taking care of our planet. 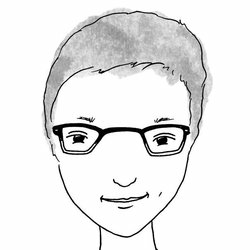 Alex brings on guest Kara Fagan so that she can blabber on about Google IO while Savannah is away. Alex and Savannah are joined by some friends to talk about frozen brains and artificial consciousness. This week, Alex tricks Savannah into recording, AND YOU SHOULD COME TO OUR LIVE SHOW IN CHICAGO! Alex and Savannah talk about the end of the world and a theoretical Cyborg Olympics. #11: Can We Talk about Drugs on This Show? Alex and special guest James T. Green discuss augmenting health with an Apple Watch, cynicism in tech, and how medication can be the most interesting technology we use on our bodies.